Tutorial shows you a quick and effective non-permanent way to display your growing collection of mini quilts. 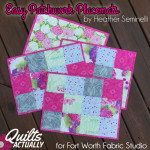 If you are visiting from Fort Worth Fabric Studio Mini Quilt Mania, Welcome! I have a quick tip on an easy way to hang mini quilts. If I am making a mini to keep or give away, I generally do the corner tab hanging method. 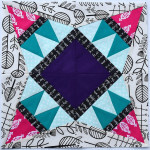 When I first started making mini quilts, I didn’t add any sort of sleeve or tab to hang it with. As a result, I never hung them up. 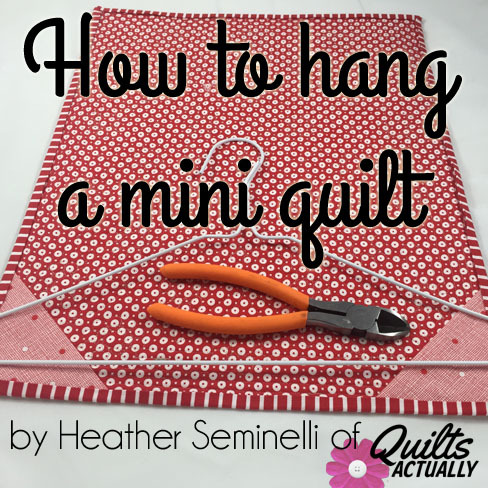 This is an easy way to make it easy to hang your mini quilt up. You made it, enjoy it and show it off! 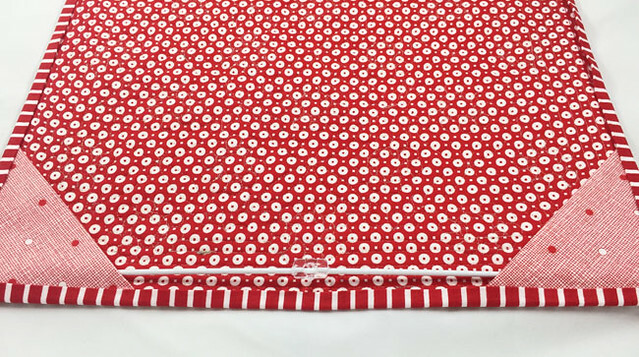 To do this, I cut two squares from scrap fabric. 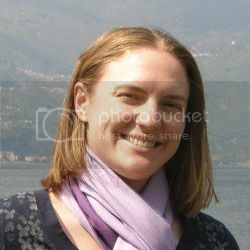 In this case, I cut (2) 4″ squares. Fold them in half diagonally, and press with wrong sides together. 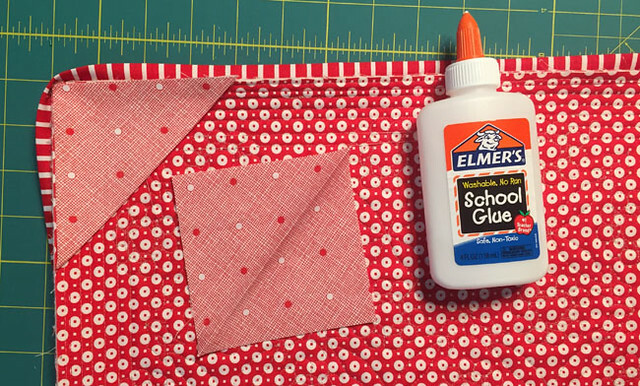 I then use a very small line of Elmer’s Washable School Glue within the seam that will be covered by the binding, and glue the triangle in place with the raw edges flush against the raw edges of the quilt. Press to heat set. This will keep those triangles in place so that they will be sewn down when you sew the binding down. So, why on earth you would let a wire cutter get near your hard work? To hang, I cut the bottom part of a wire clothes hanger to match the width of the quilt. I used a wire cutter to cut the hanger. The wire clothes hanger fits perfectly inside a Command Clear Mini Strip. 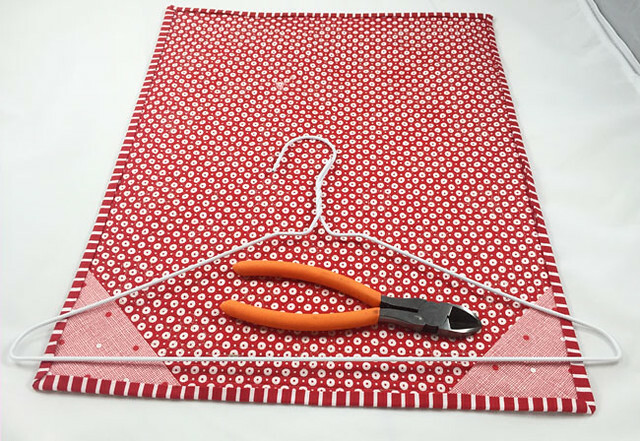 Depending on the size of the mini, I will use one or two of the Command Mini Strips, and gently press the hanger into the gap. This gives me a removable system that does no damage to walls, and I can rearrange easily if I want to. You can see the front of the mini quilt here! Great idea! I never thought about a metal coat hanger fitting into a command hook! What a great idea using the hanger. 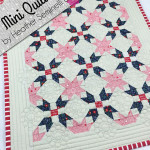 Love your mini but looks challenging even for a seasoned quilter. One of these days I will hang a quilt in my house and I will need this tip! Thank you so much for showing us this. I love giving mini quilts as gifts but didn’t like to as the recipients had no way of hanging them. Christmas sorted!!!! Love this idea but I don’t know what a “command hook” is. Can someone tell me what that is & where to buy them? Simple, yet clever idea that requires no extra expense! Thanks!